FREE Texas Hold'em Poker Tournaments at Blackthorn Pub every Monday at 7PM - 11PM. Sit back, relax and let our Dealers shuffle your way to free prizes and entries into major casino poker events. New players can pre-register or walk-up. 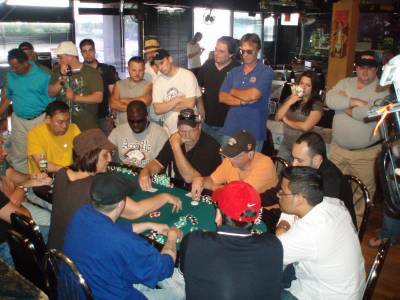 It is a great way to meet new friends, play poker at a competitive level for free, and sharpen your poker skills, without emptying your pocket book. 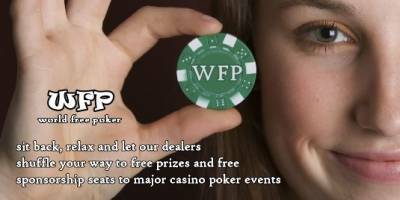 For more info visit http://www.WorldFreePoker.com . Blackthorn Restaurant & Irish Pub is locate at 651 N Michigan Ave, Kenilworth, NJ 07033. Looking for a great atmosphere with food to match? Blackthorn offers a little something for every occasion, from pub food to traditional Irish favorites. Enjoy your meal in a secluded dining room, adorned by a beautiful stone fireplace and vaulted ceilings, or for a more relaxed meal in our pub area, where you can watch a game on the big screen. If an authentic Irish pub and cozy atmosphere are what you're looking for, it doesn't get better than at Blackthorn. Join us every Monday for Blackthorn's Gift Certificate Tournament where the Top 10 player with the highest monthly score qualify for the Gift Certificate Prize that is played every other month! 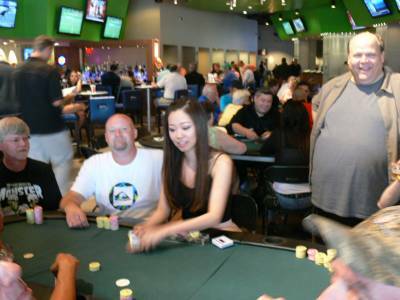 Check out Dates for: Free Poker Monday - Blackthorn Pub - $25 Gift Certificate & More!